Samsung's Galaxy Note 8 tablet was chosen due its 8-inch screen size which fits perfectly in the Ortlieb handlebar bag, yet with a bit more screen area than 7-inch tablets. The unit is very snappy due to its quad-core microprocessor design. The pen stylus comes in handy and the micro-USB charger port also enables use with a card reader, such as the iKross reader. This will allow reading the SD cards from the camera as seen in the picture. 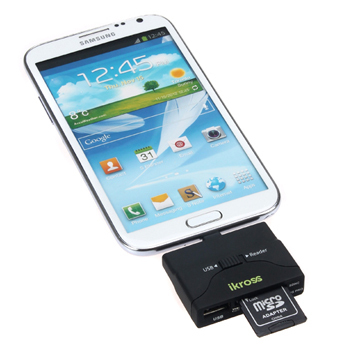 Storage for media is enhanced with a 32 GB SanDisk micro-SD card. 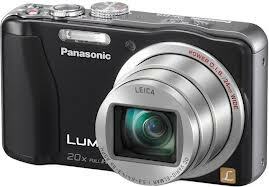 One of the big selling points of the of the Panasonic Lumix DMC-ZS19 is its movie capabilities. It can record AVCHD-format clips at 1080/60p that are sharp and smooth with good exposure and color. The quality is very good as long the lighting conditions are good such as in outdoor scenes. The camera also records in MP4 format at resolutions up to 1080/30p (20Mbps) for easier editing and uploading to the Web. For portable storage, four 32-GB SanDisk Extreme (Class 10) SDHC cards are used. With an additional 50GB of DropBox cloud storage, the video and photo storage needs should be met while on the road. All totaled, the setup will have storage for 210 Gigabytes of hi-res photos and videos. A Tamrac ultra-light weight (11 oz.) tripod will be carried in a bag on the rear rack with the tent. A light weight Pedco UltraClamp will come in handy to take shots and video from more unusual angles, such as mounting on the bike, for forward-facing and rear-facing rolling bike footage. For power generation, three spare Panasonic camera batteries will be utilized and Sanyo Eneloop rechargeable AA and AAA batteries will be used to power the various LED lights. A CyberPower 3-0utlet surge protected AC plug will be make charging multiple devices handier while on the road. The thin, lightweight Magellan 2036 GPS with a 4.3-inch screen is an ideal size to carry on a bike. This unit is an automotive type but it costs about 1/4 the price of dedicated bike units with much smaller screens. Its main drawback is the two hour battery life. It can be extended by setting the display brightness lower or using voice only commands. This device is used for quick reference to route within local areas or directions when lost...especially in Southern California. This device is complemented with a GPS app for the tablet. See the Route page for additional information. A custom bracket was fabricated by using bike handle bar mounts, the GPS unit's window mount, a drummel tool and epoxy glue. The modified bracket fits on the bike's stem, as seen pictured below and works well for its intended purpose. UPDATE: In my subsequent bike trips, I ditched the Magellan GPS in favor of a Nokia Lumia 521 Windows smartphone. The advantage of this phone is that it has built-in GPS and HERE Maps are pre-loaded. WIth HERE Maps, one can download regional maps so they can be accessed offline with the built-in GPS. The battery on this device lasts four times longer than the Magellan device.